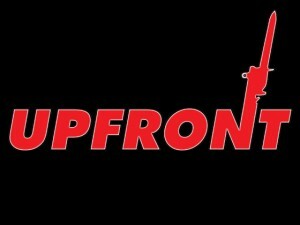 Up Front is looking to get reprinted and is using Kickstarter to help. And it's worked! But as always, there's stretch goals and all that fun kinda stuff. A reprint of the Avalon Hill classic World War II card game Up Front is currently on Kickstarter. Up Front simulates squad-level combat between the various World War 2 nationalities. The Kickstarter campaign is notable in that many fan-made expansions produced over the years are being offered as stretch goals, dramatically increasing the number of nationalities past the original five.